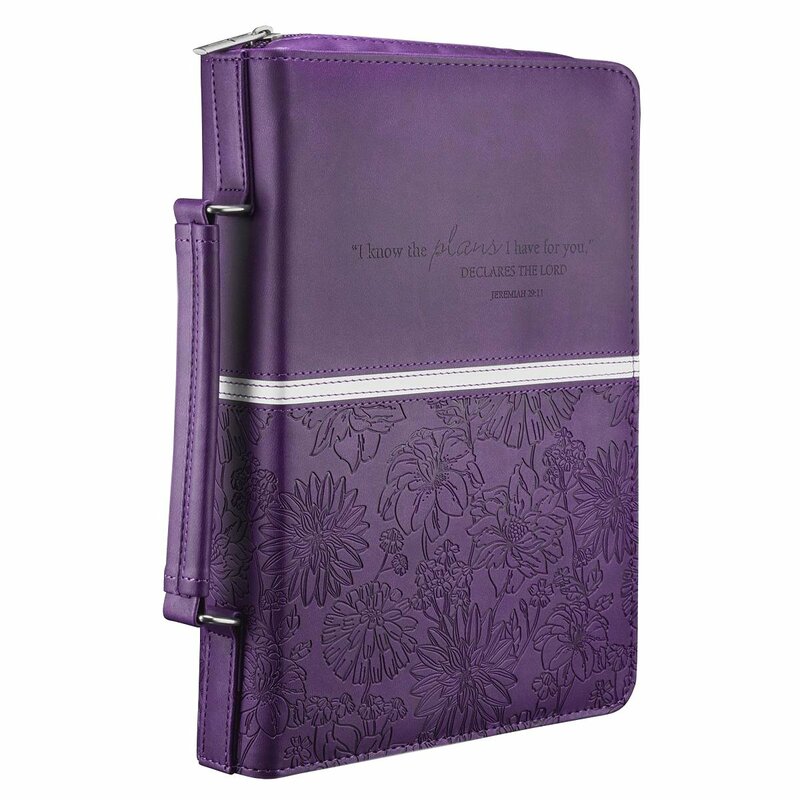 You'll love this Bible / Book Cover for its buttery feel and delicate, engraved verse from Jeremiah 29:11. The Bible / book cover is constructed of quality man-made material imported from Italy, with the look and feel of real leather (trade name LuxLeather). The embossed floral motif and contrasting white band are carried front to back. There is an exterior slip pocket on the back, a cross engraved zipper-pull, a convenient flexible suitcase style handle and 2 pen loops inside.